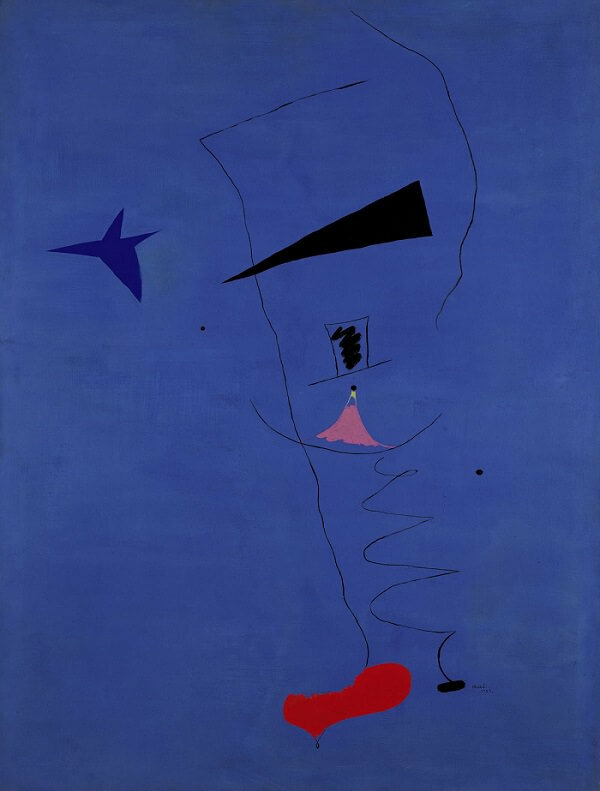 Delicate linear forms float on the open blue that Miró associated with dreams. With Andre Masson, Miro was the first to create imagery using automatic techniques in which forms seemed to emerge directly from the unconscious. From this he developed his own personal sign language, which simplified familiar things such as stars, birds and parts of the body.